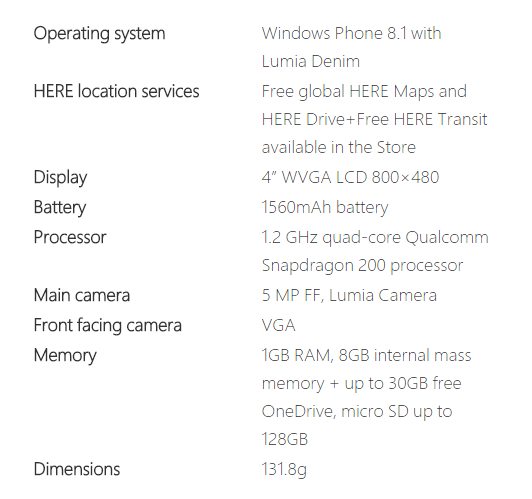 Today Microsoft announced two new Lumias on their site, the Lumia 435; the cheapest Lumia ever and the Lumia 532, running Windows Phone 8.1 and Lumia Denim. These new devices come with dual sim 3G capabilities (no LTE), and are aimed at growing markets. Both these extremely affordable Lumias however come with 1GB of ram onboard, meaning you won’t be missing out on any apps due to low memory. The Lumia 435 comes with a 4″ 480p, a 1.2 Ghz Dual core Snapdragon 200 processor, a 2 Megapixel rear facing camera and a VGA front facing camera; along with a 1,560 mAh battery. The Lumia 435 was leaked multiple times, and is believed to be based off designs of a cancelled Nokia X device. 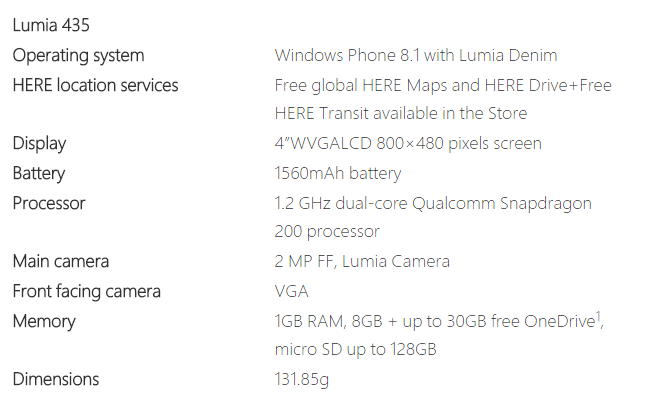 The Lumia 532 is also a 4″ 480p device with a 1.2 Ghz quad core Snapdragon 200, and a 5 MP main camera, as well as a VGA front facing camera, with the same 1,560 mAh battery.